45/Al-Jathiya-33: And the evil of what they did became manifest to them and that which they used to mock at encompassed them. 45/Al-Jathiya-34: And it was said (to them): “Today We will forget you, as you forgot ‘the meeting of this Day of yours’ and your abode is the Fire and there is not for you any helper”. 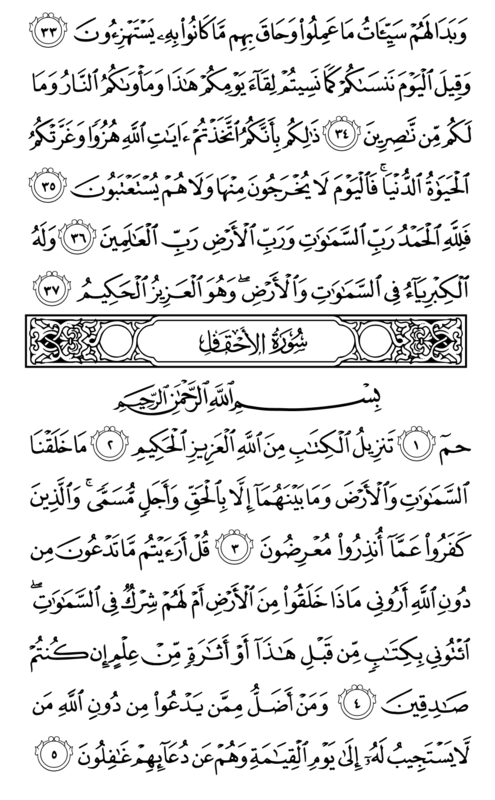 45/Al-Jathiya-35: This is because you took the Verses of Allah for a mockery and the life of the world deceived you. So on that Day they are not let go from there nor any excuse is asked (accepted) from them. 45/Al-Jathiya-36: Therefore to Allah is due all praise, Lord of the heavens and Lord of the earth, Lord of the Worlds. 45/Al-Jathiya-37: And to Him belongs the Greatness in the heavens and the earth, and He is the All-Mighty, the All-Wise.